Peter Brown was Fellow and Tutor in Classics at Trinity College, Oxford from 1968 to 2011 and is now an Emeritus Fellow there. He has published extensively on both Greek and Roman Comedy, and his translation of Terence: The Comedies for the Oxford World's Classics series was reissued in 2009. He is currently working on a commentary on Terence's Andria for Aris & Phillips. He supervises the APGRD's opera data and was co-editor with Suzana Ograjenšek of the APGRD publication Ancient Drama in Music for the Modern Stage (Oxford University Press, 2010) (especially appropriate as he is a keen amateur singer). Peter Brown's publications (PDF). Felix Budelmann came to Oxford in 2008 after teaching at Manchester and the Open University. He is the author of The Language of Sophocles (Cambridge, 2000) and Greek Lyric: A Selection (Cambridge, 2018). He has recently started work on a project about the present in Greek literature, and is also interested in cognitive approaches to literature (see http://cognitiveclassics.blogs.sas.ac.uk, co-edited with Katharine Earnshaw, Exeter). Felix Budelmann's publications (PDF). Helen Eastman is a writer and director of theatre and opera. She trained at LAMDA after graduating from the University of Oxford where she was the Passmore Edwards Scholar in Classics and English, and she has a doctorate from King's College London. She is the director of the Live Canon ensemble, and co-director of Barefaced Greek films. She directed the Cambridge Greek play in 2010, 2013 and 2016. Her freelance work has been seen all over the world, including at Trafalgar Studios, Hackney Empire, Oxford Playhouse, The V&A, The City of London Festival and the National Theatre Studio. Erika Fischer-Lichte is Professor of Theatre Studies at the Freie Universität Berlin. From 1995 to 1999 she was President of the International Federation for Theatre Research. She is a member of the Academia Europaea, the Academy of Sciences at Goettingen, the Berlin-Brandenburg Academy of Sciences, and the National Academy of Sciences Leopoldina at Halle. She is director of the International Research Centre for Advanced Studies on 'Interweaving Performance Cultures'. She has published widely in the fields of aesthetics, theory of literature, art, and theatre, in particular on semiotics and performativity, theatre history, and contemporary theatre. Among her numerous publications are Global Ibsen: Performing Multiple Modernities (2010), The Transformative Power of Performance: A New Aesthetics (2008, German 2004), Theatre, Sacrifice, Ritual: Exploring Forms of Political Theatre (2005), History of European Drama and Theatre (2002, German 1990), The Show and the Gaze of Theatre: A European Perspective (1997), The Semiotics of Theatre (1992, German 1983), and The Dramatic Touch of Difference: Theatre, Own and Foreign (1990). Helene P. Foley is Professor of Classics at Barnard College, Columbia University. She has served as President of the American Philological Association and as a Senior Fellow at the Center for Hellenic Studies in Washington D.C. She was elected to the American Academy of Arts and Sciences in 2008. She has received Guggenheim, National Endowment for the Humanities, American Council of Learned Societies, Loeb Foundation, and Institute for Advanced Study (at Princeton) fellowships as well as three teaching awards. She is the author of Ritual Irony: Poetry and Sacrifice in Euripides (1985), The Homeric Hymn to Demeter (1994), and Female Acts in Greek Tragedy (2001) and co-author with Elaine Fantham, Natalie Kampen, Sarah Pomeroy, and Alan Shapiro, of Women in the Classical World: Image and Text (1994). She edited Reflections of Women in Antiquity (1982) and co-edited Visualizing the Tragic: Drama, Myth and Ritual in Greek Art and Literature (2007). She has most recently completed a book version of her Sather Classical Lectures at University of California, Berkeley on the reception of Greek tragedy on the U.S. stage and has co-edited with Erin Mee a book on global performances of Sophocles’ Antigone entitled Antigone on the Contemporary World Stage (2011). Constanze Güthenke is Associate Professor of Greek Literature and the E.P. Warren Praelector at Corpus Christi College, Oxford. She was trained both in Classics (BA Cambridge) and in European and Comparative Literature (MPhil Cambridge, DPhil Oxford). From 2003-14 Constanze taught in the Classics Department at Princeton University where she was also affiliated with the Program in Hellenic Studies. Her main research interests lie in the field of antiquity after antiquity, and in questions of the disciplinary shape of Classics: why, and how, do classicists ask the questions they ask? Further details of her current project and a list of select publications can be found on the Classics Faculty website. Edith Hall is Professor of Classics at King's College London. She was previously Research Professor in Classics, English and Drama & Theatre at Royal Holloway University of London, Leverhulme Chair of Greek Cultural History at the University of Durham, 2001-2006, and Tutorial Fellow at Somerville College, Oxford, 1995-2001. Her publications include Aristotle's Way (2018), Introducing the Ancient Greeks (2014), Adventures with Iphigenia in Tauris (2013), Greek Tragedy: Suffering under the Sun (2010), The Return of Ulysses (2008) and The Theatrical Cast of Athens (2006). She won the Erasmus Medal of the European Academy in 2015 and was awarded an Honorary Doctorate from Athens University in 2017. For Edith's CV and publications, click here. More information about Edith's research interests, public activities and published works can be found on her home page. 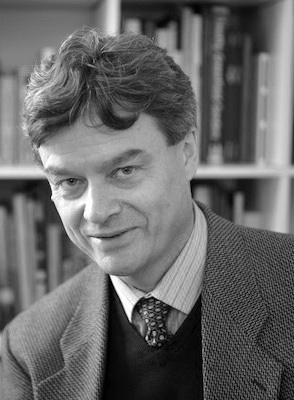 Stephen Harrison has been teaching Classics at Corpus since 1987 and is Professor of Latin Literature at Oxford. His main research and teaching interests are in Latin literature and its reception. He has written monographs and commentaries on Virgil, Horace, and the Roman novelist Apuleius, and has authored, co-authored edited or co-edited more than twenty other books, including volumes on contemporary poetry in English and the classics, Louis MacNeice's classical radio plays, and (most recently) the Victorian reception of Horace (Victorian Horace: Classics and Class, Bloomsbury, 2017). He is currently working on a book on the reception of Apuleius since 1600, plus co-editing volumes on (inter alia) Seamus Heaney and the classics and the Roman reception of Sappho. For more on his academic activities and publications see his website. Stephen Harrison's CV and publications. Justine McConnell is a Lecturer in Comparative Literature at King’s College London. She was formerly the APGRD’s Postdoctoral Research Associate on the Performing Epic project, and subsequently a Leverhulme Early Career Fellow at TORCH and Bowra Junior Research Fellow at Wadham College, Oxford. Justine’s publications include Black Odysseys: The Homeric Odyssey in the African Diaspora since 1939 (OUP, 2013), and three co-edited volumes: Ancient Slavery and Abolition: From Hobbes to Hollywood (OUP, 2011), The Oxford Handbook of Greek Drama in the Americas (OUP, 2015), and Ancient Greek Myth in World Fiction since 1989 (Bloomsbury, 2016). Justine McConnell's publication list. Pantelis Michelakis has been Research Fellow and then Honorary Research Fellow at the APGRD from 1998-2009. Since 2003 he has been at the University of Bristol where he is Senior Lecturer in the Department of Classics & Ancient History. He is the author of Achilles in Greek Tragedy (CUP 2002) and A Companion to Euripides' Iphigenia at Aulis (Duckworth 2006), and co-editor of Homer, Tragedy and Beyond: Essays in Honour of P.E. Easterling (Society for the Promotion of Greek Studies 2001) and Agamemnon in Performance, 458 BC to AD 2004 (OUP 2005). He is currently working on the reception of Greek tragedy on the modern stage and on screen. Pantelis Michelakis' publications. Patrice Rankine is Professor of Classics and Dean of Arts and Sciences at the University of Richmond (USA). He is author of Ulysses in Black: Ralph Ellison, Classicism, and African American Literature (2006), which focuses on the Ulysses theme as an organizing trope in African American literature of the twentieth century; and Aristotle and Black Drama: A Theater of Civil Disobedience (2013), which draws from theatre and performance theory. Slavery and the Book (forthcoming) will continue Rankine’s study of race, modernity, and the classics through a history of the interactions with books and the publishing industry among enslaved people across time. He has spent time in Brazil, most recently doing archival research on slaves who worked in (or later owned) printing presses in the 19th century. Rankine is also a co-editor of The Oxford Handbook of Greek Drama in the Americas (2015). Oliver Taplin was Tutorial Fellow of Magdalen College at Oxford from 1973 to 2008; he was given the title of Professor in 1996. As an Emeritus Fellow and Professor, he remains actively involved with the APGRD and related projects. His books include The Stagecraft of Aeschylus (1977), Greek Tragedy in Action (1978), Comic Angels (1993), and Pots and Plays (Getty, 2007). He has always been concerned to disseminate interest in the ancient Greek world and in its reception. He has worked with productions in the theatre, including The Oresteia at the National Theatre (1980-1981), The Thebans at the RSC (1991-1992), The Oresteia at the National Theatre (1999-2000) and Swallow Song (Los Angeles 2004, Oxford and London 2006). The APGRD combines his interests both in performance and in reception. Oliver Taplin's publications (PDF). Ruth Webb is currently Professor of Greek at the Université Charles-de-Gaulle Lille 3 and a member of the UMR 8163, Savoirs, Textes, Langage. She has been Honorary Research Fellow in the Department of History, Classics and Archaeology at Birkbeck College, London and held teaching positions in the Department of Classics at Princeton (1994-2001), the Greek Department at the Université Paris X-Nanterre (2005-2008) and was most recently visiting Professor in the History of Art at Nanterre. She has also worked closely with the APGRD on the reception of ancient drama in Graeco-Roman antiquity. She has published Demons and Dancers: Performance in Late Antiquity (Harvard University Press, 2008) and Ekphrasis, Imagination and Persuasion in Ancient Rhetorical Theory and Practice (Ashgate, 2009) in addition to many articles on rhetoric, theatre and dance in the Imperial period and in Late Antiquity.